The ultimate high-performance protective roof maintenance coating utilizing the Topps exclusively formulated thermoplastic technology. It is ENERGY STAR qualified and Title 24 approved for superior energy savings. It is available in 12 standard colors with no price upgrade. 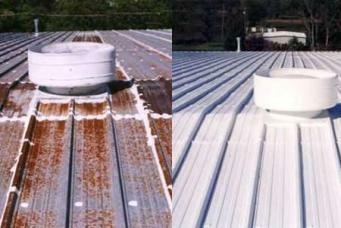 Recommended coverage rate is 1 - 1.5 gallons per 100 square feet per coat. The flagship of the Topps protective roof maintenance coating line utilizing the Topps exclusively formulated thermoplastic technology. 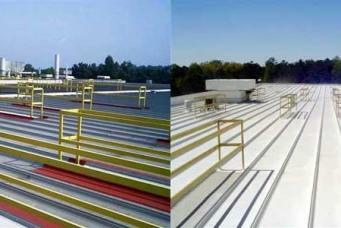 Topps Seal for PVC is specially formulated to be compatible with the migrating plasticizers of a PVC roof. This effective and extremely durable 100% rubber elastomeric roofing compound combines extensive elongation capabilities and extreme tensile strength, enabling it to meet all climate and thermal change demands which cause the early failure of conventional products. The interlinking network of components unify into a seam-free, single-ply layer of rubber that applies a virtual lock onto existing PVC roofing membranes. 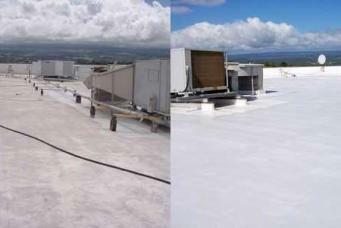 Topps Seal Base Coat is an "off-white" contrasting first coat substitution for greater economy on two-coat systems. Essentially the same formulation as Topps Seal. 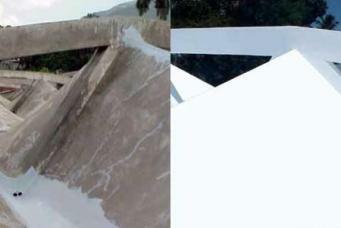 Use Topps Seal Base Coat for EPDM/PVC as the foundation layer. To create a virtual lock onto existing membranes, apply Topps Seal or Topps Seal Excel as a finish coat. 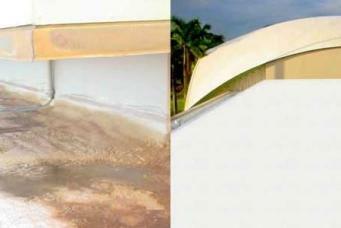 100% elastomeric water-based coating designed for zero VOC specialty applications. 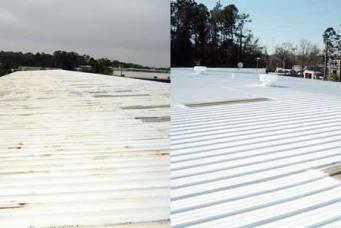 Cures fully adhered to the existing roof in a seamless, protective cool roof coating. 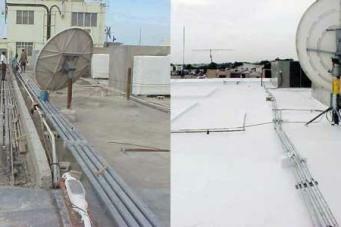 Excellent moisture repellency and unique ability to block efflorescence makes this idea for most roof types, as well as masonry walls. Topps Seal PF (Ponding Forumla) provides all the weatherproofing protection of Topps Seal, but with chemistry that adds to ponding water resistance. Substitute this product for the entire roof and all coats on any roof that ponds water in any isolated area for up to 72 hours after rain. 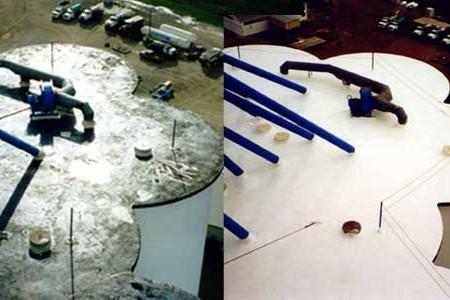 This alternative elastomeric, water-free cool white roof coating exceeds the physical properties of acrylic water based coatings, yet at a very economical price. It includes the same quality ingredients found throughout the Topps Seal family of products. Use where cool roofing with high physical property standards are desired, but where only a manufacturers one year warranty against product defect is required. Available only in cool white.